Less than a day to go to the information requirements for complaints about businesses coming into effect. This covers all businesses including lawyers. We are well placed to help you to comply with the directive and offer membership packages to businesses so that their complaints are prioritised. 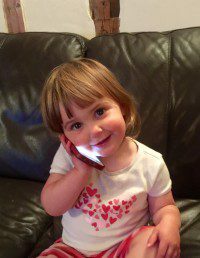 One of the commonest types of complaint concerns mobile phone operators and in particular, children running up massive bills. Mobile phone and Internet usage is growing exponentially, with the average person checking their phone 9 times per hour or 110 times per day. Children are almost surgically attached to their devices. The statistics suggest that the average person spends almost half their waking time watching TV, using their mobiles and other communications devices. Similarly complaints have been increasing alongside the increasing dependency on communication devices. Other children have come unstuck using their phones. For example, it was reported that a teenager who wanted to stay in touch with friends on Facebook while on holiday received a massive bill for almost £3,000. Carissa Grice, 18, a trainee nail technician used an Orange mobile, on holiday in Antalya, Turkey. She was using Facebook, Twitter and WhatsApp to chat to friends, downloading 630MB of data, and the bill came to £2,907. Orange defended themselves by saying that it had sent texts to the phone to point out the data use, but as a gesture of goodwill, they recalculated her bill with the most appropriate bundles applied, reducing it to nearly £250. Similarly a teacher ended up with a £2,600 bill after downloading a Neil Diamond album while on holiday in South Africa. Then there was the case of Maria Dorsett who complained that her life had been ‘ruined’ after she ended up with an £800 mobile phone bill when she used her data to allow her younger brother to watch Netflix on her iPhone. Miss Dorsett claimed that her parents had paid to have a £50 cap on her contract, and that she was not given any warning that she had exceeded the cap before receiving a text claiming she owed nearly £800. The family went on a caravan holiday to Felixstowe, Suffolk in April and she used her iPhone to study for her exams and entertain her younger brother who was five at the time. In order to pay off the mobile phone bill, Miss Dorsett’s mother used her credit card, and with interest the mobile phone bill ended up costing £2,875.79. Happily Vodafone agreed to refund the bill so sadness has turned to joy in the Dorsett household. In terms of number of complaints it is reported that EE is the most complained about broadband and phone provider. Ofcom has said that most complaints centred on poor service, faults and billing. Virgin Media and Sky had the lowest number of complaints. EE was fined £1million for failing to handle complaints properly. Crucially, EE failed to inform customers about their right to use alternative dispute resolution. From 1 October all mobile phone providers will have to provide information to consumers about a certified ADR Provider. If they and other UK businesses fail to comply then we could see a repeat of large fines like this. This is why we recommend that businesses sign up to ProMediate as members of our service. We can then prioritise members’ disputes which are referred to us and get on with trying to resolve them straight away. We can also advise members on compliance with the directive.